German prosecutors say the Germanwings co-pilot Andreas Lubitz, who is believed to have deliberately crashed Flight 9525, researched suicide methods and cockpit door security in the days before the crash. Investigators looked into Lubitz’s tablet computer searches between March 16 and 23 and discovered he was concerned about medical treatment and was studying various suicide methods, German prosecutors said on Thursday. Germanwings said on Thursday that the company had been unaware that Lubitz was suffering from depression during pilot training. 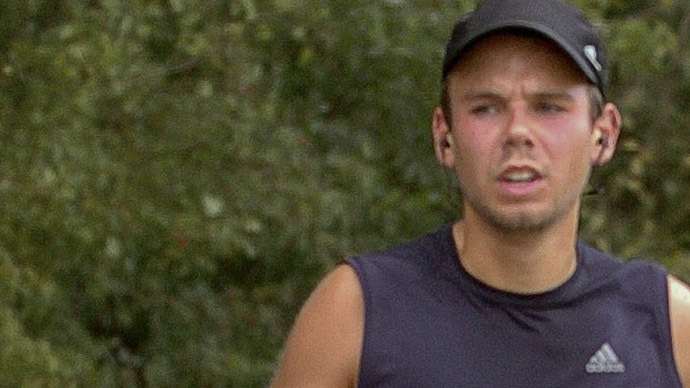 Earlier this week, Germanwings parent company Lufthansa confirmed it knew Lubitz suffered from a bout of severe depression before finishing his flight training six years ago. Also on Thursday, the French police confirmed the second black box from the plane that crashed in the French Alps last week has been found. Based on recordings from the first black box, investigators now believe co-pilot Andreas Lubitz intentionally crashed the plane on March 24, killing 150 people on board. Earlier, the German paper Bild reported that 27-year-old Lubitz deliberately concealed he was still flying commercial planes from doctors, telling them that he had taken sick leave. Authorities are also examining cellphones found at the crash site for clues. No video or audio from the cellphones of the passengers on the plane have been released publically. French reporter Frederic Helbert said he had seen cellphone video taken right before the horrific crash. He described the footage to AP: “You cannot see their faces, but you can hear them screaming and screaming. No one is moving or getting up," he told the AP in Paris. "What was awful, what is imprinted in my memory, is the sound. People understand something terrible is going to happen," he said. In the wake of the crash, several airlines and countries have ruled that two people must be present in the cockpit at all times. Lubitz had locked the plane’s captain outside the cockpit before deliberately crashing the plane.